A camera edges closer to a young blond reporter, who is holding a microphone and interviewing another woman. At first it looks like a behind-the-scenes news video. The reporter's colleague, a photographer, can also be seen in the frame. Seconds later, the muzzle and barrel of a gun come into view. Shots go off, as the gunman kills both journalists. The videos were posted to Facebook and Twitter by a user named Bryce Williams on Wednesday. Williams is actually Vester Flanagan, who police say killed reporter Alison Parker and photographer Adam Ward. 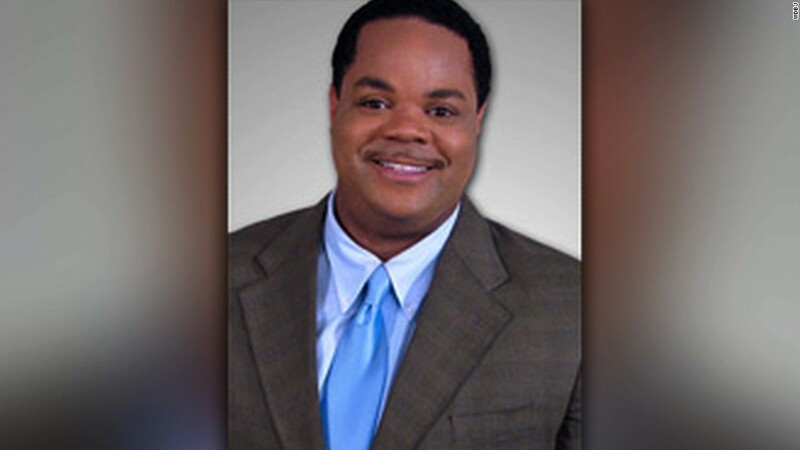 The shooting occurred hours earlier as Parker and Ward were doing their jobs, taping a live segment for WDBJ in Roanoke, Virginia. The video circulated swiftly on social media. Both Facebook and Twitter autoplay videos. That means many users were unexpectedly viewing a video of the murders right in their newsfeeds. 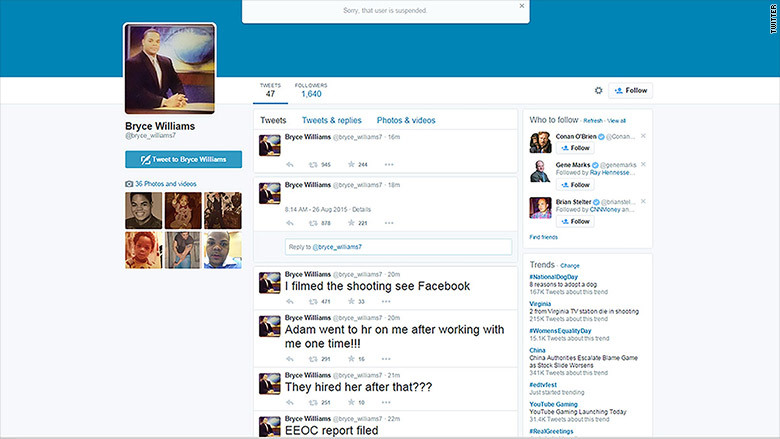 After tweeting out the videos, Williams tweeted a follow-up: "I filmed the shooting." Twitter (TWTR) said it removed Williams' profile page in eight minutes. Facebook (FB) said it did so as soon as it was flagged. For Twitter, autoplay is new. It announced the feature in June as a way for users to "keep up with the action." Facebook has been using autoplay since September 2013. "It's a better experience for people and it's leading to increased engagement," according to a Facebook news post. Facebook cited increased engagement in videos -- one of the reasons why the feature is beloved by publishers. But on Wednesday, autoplay made a graphic and highly disturbing video harder to avoid. "Incidents like the shooting in the U.S. moments ago highlight the serious issues with autoplay video on social networks like Twitter," tweeted @MattNavarra, social media director for The Next Web. "Many of us got to involuntarily watch people die today. #WDBJ" tweeted @carlospache. "Thank you @Twitter and @Facebook for making video autoplay the standard." People were tweeting instructions on how to disable autoplay, which requires users to re-enter their password and change their account settings. Facebook's autoplay can also be disabled in settings. But just being able to disable the feature might not be enough. "Once you see an instance of someone using technology the wrong way, you have to rethink your platform," said Brian Solis, principal analyst with Altimeter @ Prophet. He emphasized that technology isn't created with the "worst of humanity" in mind. "You always expect the best," he said. "[But] as a leading technology platform you have to now think about counter measures."